In the next few weeks I’ll be blogging about how to go about finding the right PR agency for you. I’ve been running Eskenzi PR for 18 years and I’d say good PR is all about Chemistry. It’s a bit like going on a first date – when you meet the person sitting opposite you and look into their eyes you either know it’s going to work or you don’t! Is there a connection and does it feel right? Is there a nice spark when you talk to these guys? Do you fire off each other? If it feels right in your gut and the chemistry is working then I’d say the agency could be the right one for you. However, don’t make your decision based on the chemistry being right between you and the directors of the company ask to meet the entire team. After all how often are you going to deal with the directors – meet the account manager and account executives, go into their offices and spend some time with them – see if there is a buzz about their place. Are the team happy? Do they have time to spend with you – check they’re not stressed out working on too many accounts! The golden rule is in our office is that no one works on more than 4 accounts – check this out when you talk to the account manager – do they look tired and worn out? If so walk away – you want to be a big fish in a small pond – that’s the reason why we always recommend working with smaller, specialised agencies because they have fewer clients and everyone really matters. When at the pitching stage ask the all important question about how long the agency retains their clients. If it’s around a year to 18 months don’t touch them. I’d be very interested in why they’ve lost their clients. At Eskenzi we retain our clients for an average of 7 years, most of our clients leave us because they’ve been acquired – that’s our job done – it’s what most companies in our sector are seeking to achieve. If a client only stays for a year or two it’s not a good sign. To check that the agency have happy and satisfied clients ask if you can contact their clients and make sure it’s you who chooses who the clients are you speak to, not the ones the agency recommend you speak to as they are likely to direct you to only their happy clients not the disgruntled or dissatisfied ones. To make sure that you instinct is right and the chemistry is there you can ask for a three month trial contract, which means you’re not locked into a long term agreement and it gives both parties time to try out the working relationship. Three months is the perfect time to find out whether the agency are good – you should be getting coverage and interviews with the press within the first couple of weeks and oodles of coverage within the three month trial period. If the coverage isn’t coming in within this time period then you know it won’t happen after this time period. So in essence choosing an agency is no different to any relationship – you’ve got to like the people you’re working with, that way the ideas and energy will flow. Also make sure you do your research on the agency to ensure they are the right fit for you. Quiz the staff to make sure they are knowledgeable about your subject and space and are energised by your products and services. Finally make sure they are not over-stretched and stressed out. Remember it’s two sided as all good relationships are and communicating regularly is at the heart of every great partnership! 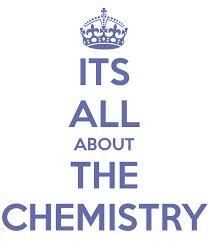 So go with your instinct and if you feel the chemistry is right it probably is!